"Gourmet food and apres-ski aperitifs"
"Wintry fireside banter in an alpine ski lodge"
"Jumping out of a helicopter to hurtle down a mountain"
... then this could be the beginning of a beautiful relationship, Louis! Back in 1965, Austrian-born Hans Gmoser invented Heli-Skiing before creating Canadian Mountain Holidays so that now, whether you're a freshman, intermediate or novice skier, you can follow in his footsteps, well.... ski tracks! What makes Canadian Mountain Holidays the best? As the founder of modern Canadian mountaineering, Hans personally surveyed the entire Columbia Mountains of British Columbia and selected 11 areas that contain Canada's finest ski terrain! 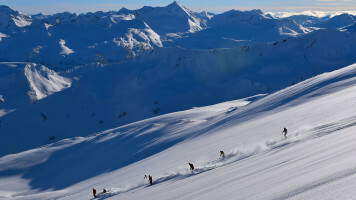 Bottom line: because CMH got there first, they claimed the best ski regions on the continent! 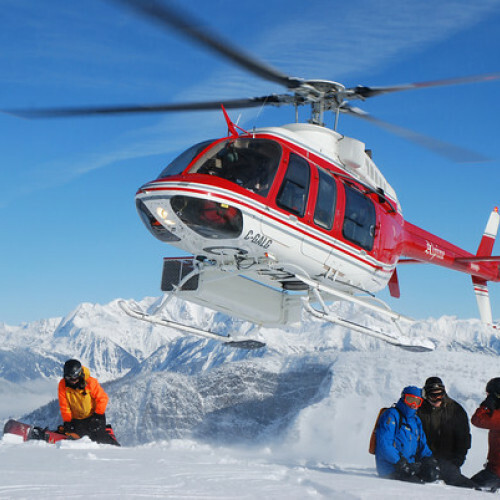 Your week-long stay will go something like this: You'll wake in one of CMH's luxurious ski lodges, dine on exquisite food before you and your highly experienced guides head out in your own private Bell 407 helicopter! You'll ski a variety of terrain, from long to steep to exhilarating and learn how to perform pillow drops and steep shots! 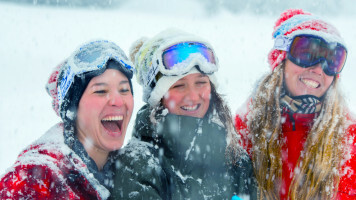 Even if you're not a skier, your afternoons and evenings will be filled with apres-ski aperitifs, visits to the sauna, laughter with your family, friends and ski-lodge team-mates before more gourmet food prepared by renowned chefs, the finest wines and retiring home for fireside cuddles. We think this holiday sounds like the perfect mix of adrenaline and winter romance but don't just take our word for it, click the link and turn words into action! Jump out of a helicopter and hurtle down mountains! Gourmet food, drink and fireside banter!